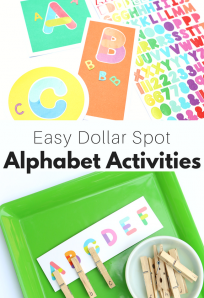 This simple fine motor and alphabet activity for kids is the 9th post in our Alphabet For Starters series, it’s our series of simple activities to play and introduce the alphabet to little learners. My son loved this when we did a even simpler version many years ago and still loved it this time. As you will see my daughter liked pushing in the tees a lot more than hammering them and that’s fine. 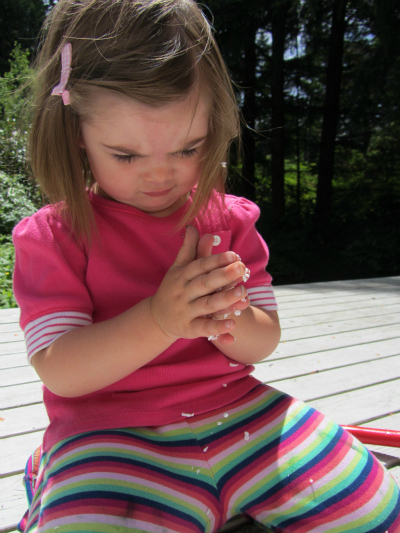 She played with the letters, got lots of fine motor skill development and most importantly she had fun. Things rarely turn out as you imagined with kids. Roll with it. Gather your materials. 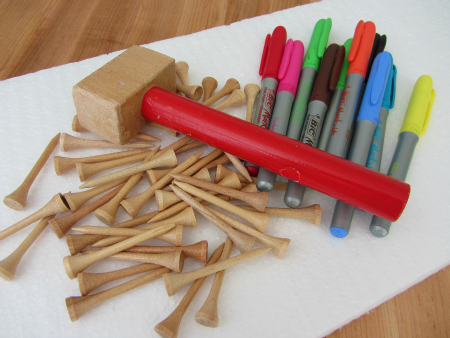 You will need some Styrofoam, golf tees , a toy hammer , some markers and some painters tape if you are doing it outside to keep it from blowing away. Start by writing out the letters. Choose a few or a lot. Soon she was all about pushing them in with her fingers. And exploring the styrofoam . I think this is what she liked best! After her brother came home we dug the pushed in tees out , re set them and let him pound away. 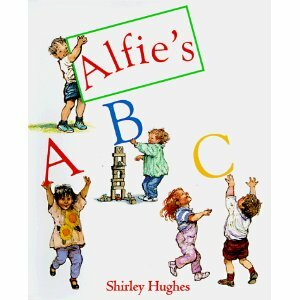 Alfie’s ABC by Shirley Hughes is a sweet alphabetic look at a little boy and his family’s life. The illustrations of the cherubic children are what sells this book and my 2 year old loved them. Alfie has a little sister and my daughter immediately proclaimed that the baby sister was her and the brother was her big brother. 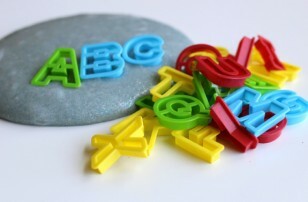 The letters are presented with both upper and lowercase and are prominent enough that for children unable to sit for all the text to simply thumb through and explore letters. 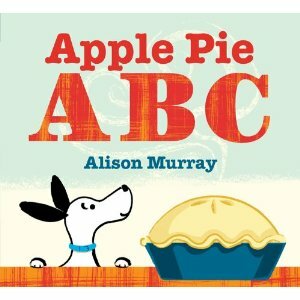 Apple Pie ABC by Alison Murray is a really cute alphabet book and story about a dog and an apple pie. You can imagine what the dog wants to do with the apple pie. The way the author / illustrator weaves an alphabet book out of a simple story about a dog wanting to eat a fresh baked pie is awesome. I really like this book for 4 and 5 year olds because there are some really great words and they can anticipate what is going to happen. My son loved it. The vintage inspired illustrations were my favorite, I wanted to frame each page. Just reserved these two books from the library. Thank you! I hope you like them – they were both new to us ( which is hard to do we have read so many). Where did you get such a big piece of styrofoam? It looks like so much fun to play with. But I think I’ll wait for a day with no wind! 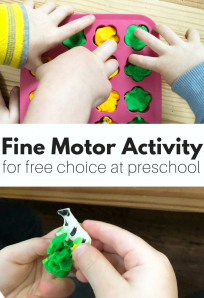 What a creative and fun activity! Where did you get the large styrofoam? Thanks! We got a new tv stand and I squirreled it away. 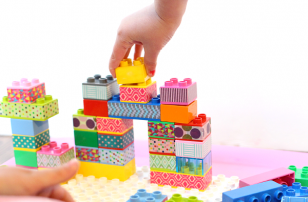 You can always ask big box stores – especially ones that sell electronics if they have extra , they usually do. Great idea!! 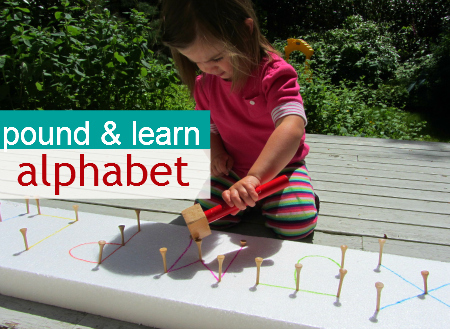 My oldest son will love pounding his way through the alphabet. Pinning it. 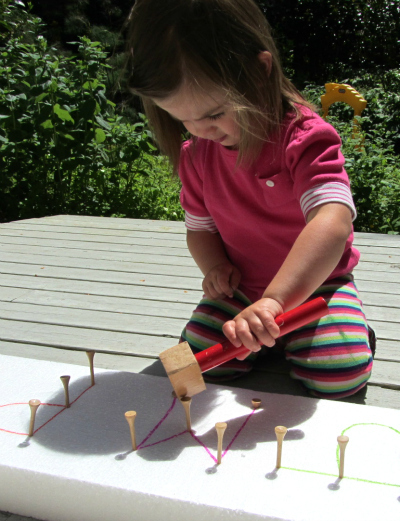 As a toddler this was a go to activity for my son, when we’d get styrafoam in a package he’d run to grab the hammer. 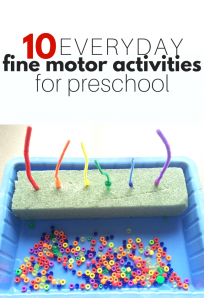 I love the variation you did with this activity. The styrofoam and outlining the letters (BIG letters) with the tees. Awesome. Thanks for the inspiration! PS. 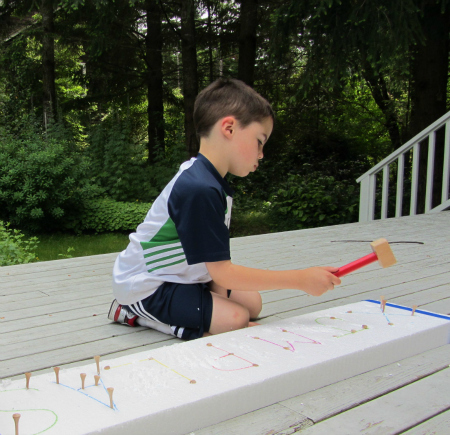 We have two large pieces of styrofoam from a new bookcase that I can’t wait to use for this activity! Great activity but why Block Capitals when they learn lower case first when in school? 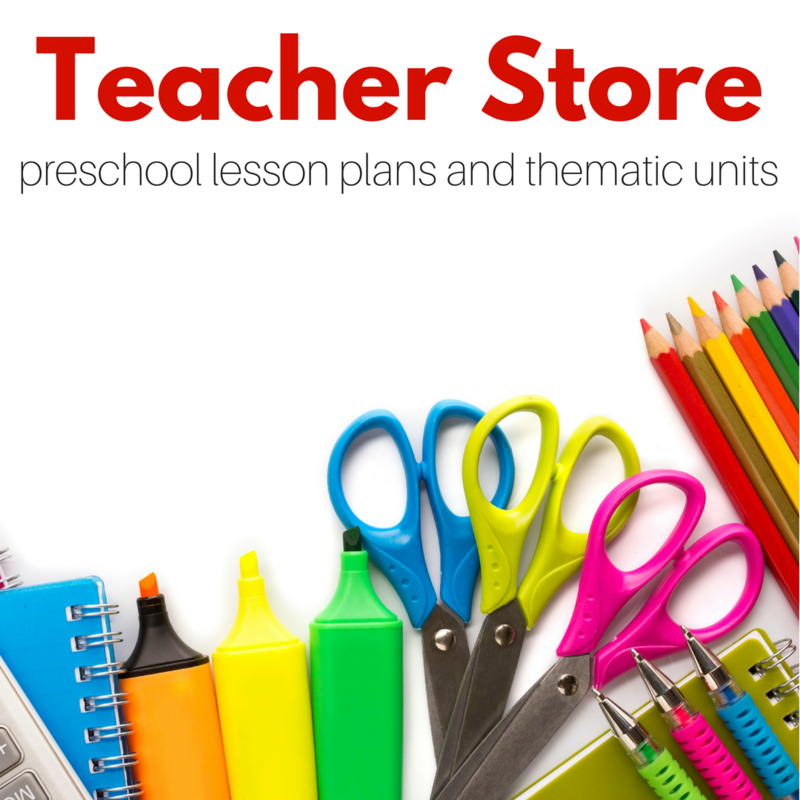 That is a great question – I am using uppercase for a few reasons. First my daughter started recognizing uppercase first and since this is all about exposing and having fun with letters I am continuing where her environmental exposure left off. Also you may notice that most kids toys and books are also uppercase first which is why so many toddlers start recognizing them first. 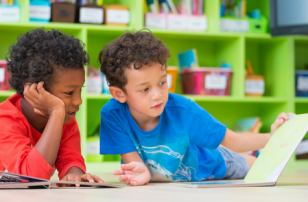 Feel free to use lowercase but know that kids can learn either one first and then move to the other, but lowercase is a must before reading.